For utilities, as for many large organisations, the customer contact centre is key. Simon Thorpe explores four common myths about measuring call centre effectiveness. (originally published in Utilities weekly). The growing importance of customer service for utility companies is beginning to highlight some shortcomings in terms of customer contact. As in most businesses, the call centre is often the first and primary point of contact for customers. Sadly, this is an area most companies struggle with because of outdated systems, ill-designed processes and a general lack of employee engagement. This could be extremely costly, with service a key consideration for customers switching supplier (according to Ofgem figures six million domestic accounts switched in 2015). Measuring CSAT and NPS is a great place to start, but best-in-class businesses typically build upwards from these foundations. They have a holistic approach to measurement and also focus on metrics such as first call resolution, call abandonment rates, agent knowledge, employee engagement, contacts per day, training, and issue ownership. In addition to having these (and other) measures in place, taking the information and correlating it back to C-SAT and NPS tells a whole new story. These can be used to create the right metrics and targets to not only drive improvement in CSAT, but also reduce costs, enhance employee engagement and focus training and development. It is also essential to benchmark these performance indicators to get a clear picture of how you are performing compared to other utility companies, as well as businesses outside the sector. By providing a clear outline of your performance compared to other operations, you can begin to create change. Before you start looking at customer experience from the outside, you need to know if the basics of your internal operations performance is up to scratch. Only then can customer experience feedback be used to tweak performance levels. One would assume that spending longer with customers means they automatically receive a higher level of service. In reality, spending longer on the phone costs the business more, and customers are getting “busier” and typically expect a short wait time and the right answers first time. However, removing this metric is a good idea as long as it can be clearly correlated against customer satisfaction and other key performance indicators. The really smart strategy is to ensure that time is being spent handling calls that need to be handled by a human being. Let simple queries be handled by interactive voice response and web solutions, so that feedback incidents and problems can be directed to the relevant department, which frees time to handle incidents and problems in a more thorough way. What a great target to have and many should pursue it. However, many are not aware of the financial and operational cost of doing so. Many companies are challenged with cost reduction, and simply putting “bums on seats” is not the answer. The best in the business look at three key areas; operations and benchmarking; employee engagement; and voice of the customer. By using all three and linking them to key performance indicators, a business is able to create the right goals and culture while creating a self-correcting organisation. This in itself is likely to improve CSAT and NPS at levels which are industry leading. Many businesses sit on a wealth of customer insight and data and more often than not they have more than they will ever need. However, in most cases the data sits across different departments and different teams and in some cases on different systems. It becomes virtually impossible to drive change without collating the information and ensuring it is held in one central system. More importantly, it must be used on a daily basis and made accountable through feeding back results to staff in real time. The business should be able to draw insight automatically outside of the contact centre and this is where other tools such as automated text analytics could help. 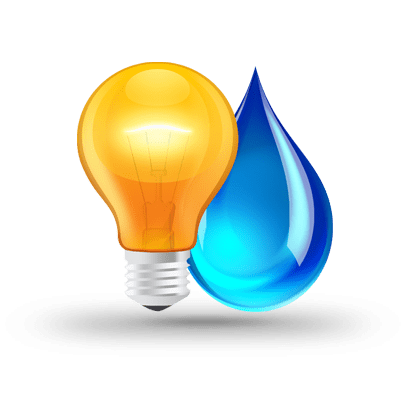 With the imminent opening of the water market already causing a stir, and Ofgem continually publishing figures on complaints and customer satisfaction in the energy sector, these issues are not going away. Creating clear measurements and taking part in benchmarking exercises are a great start in creating a customer service strategy. In most cases, this provides a clear overview of how the operation is actually performing, while also offering a road map for improvement. Previous Previous post: Are the banks ready for the CMA to publish their NPS scores next year? Next Next post: 2 minutes on… Text analytics, a game changer.